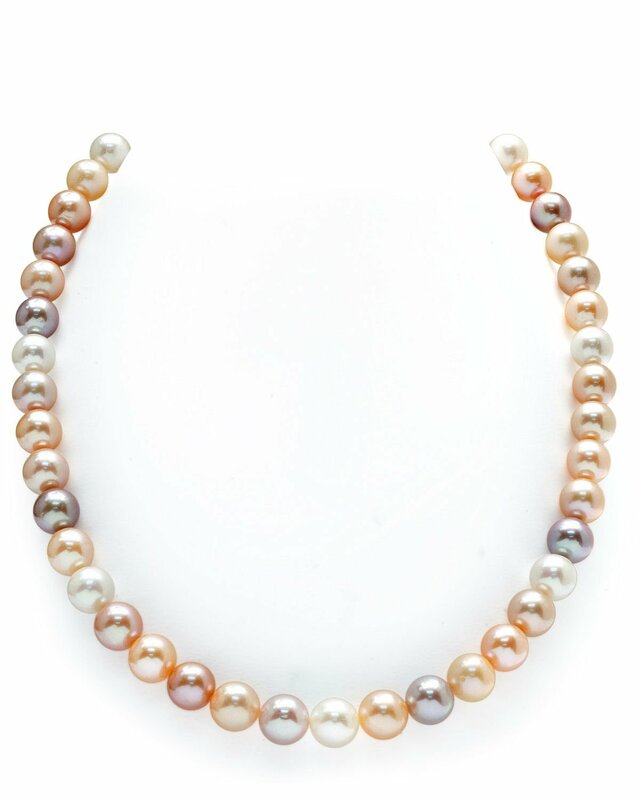 This 9-10mm multicolor freshwater pearl necklace is certain to be a favorite for any occasion. 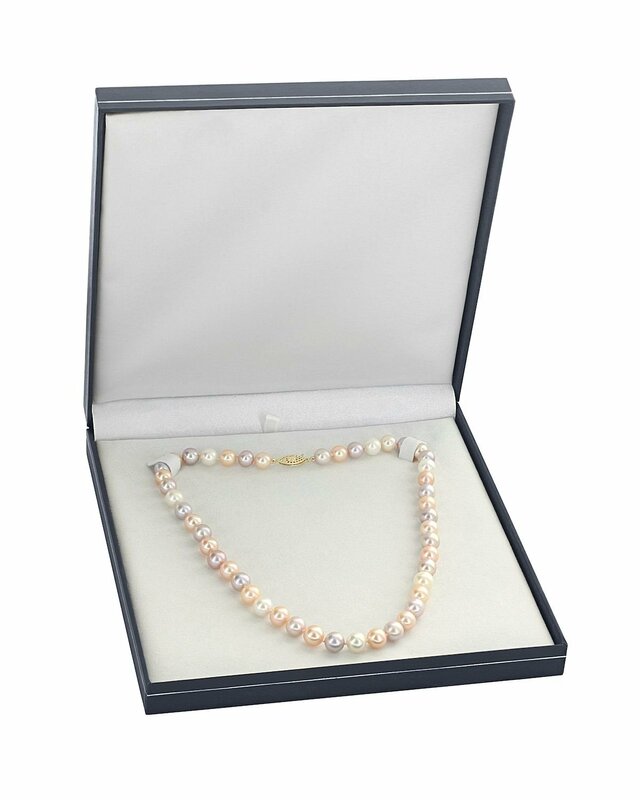 This pearl necklace is compiled of GEM-quality hand picked pearls with 'Very High' grade luster, our highest grade available. 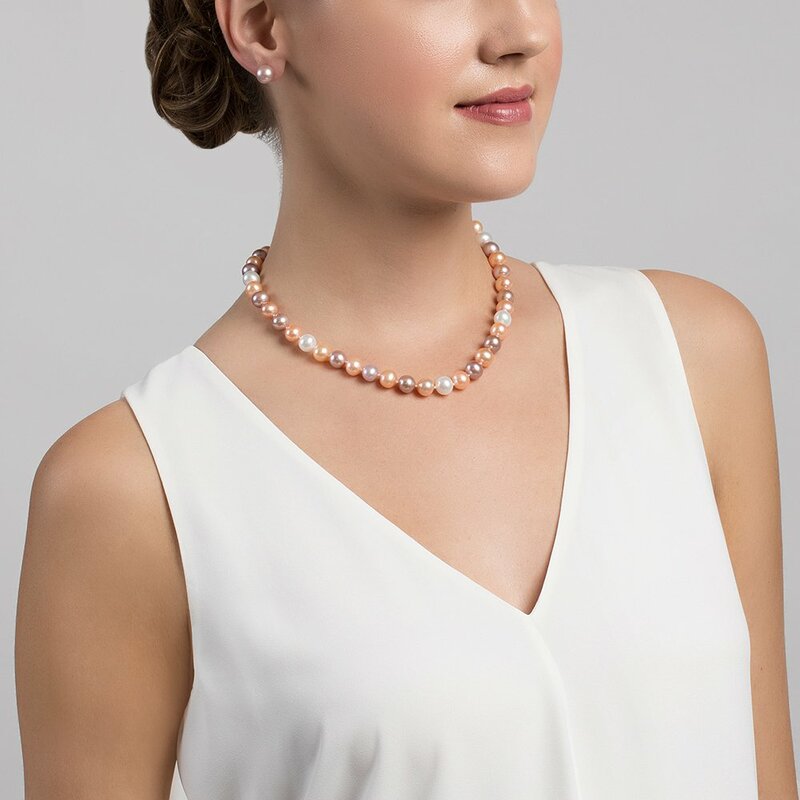 The necklace is an exquisite combination of beautiful peach, pink, purple, and white freshwater pearls. The strand is affixed with a beautiful 14K gold clasp. If you have any further questions, feel free to call us anytime at 1-866-87-Pearl (1-866-877-3275). Look great, high quality, and most of all, wife loves them.